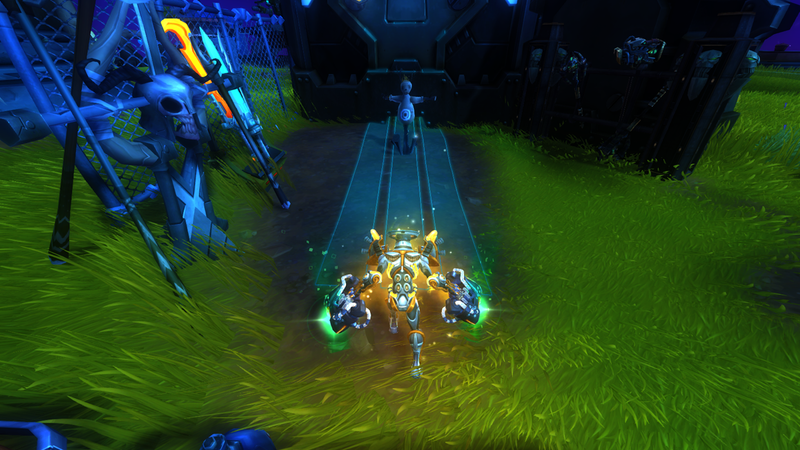 Another day, another dose of hysteria in the WildStar camp. If you’ve been following the game you’ll know that Drop 3, Defile, has been delayed. The primary reason, according to Carbine, is that they wanted to ensure that the forthcoming patch was bug free. I’m actually incredibly grateful for this approach because WildStar is already packed with content, what it doesn’t need is more that’ll introduce additional problems. As far as yesterdays patch is concerned however, it seems the Quality Assurance department at Carbine has once again dropped the ball. First and foremost, the patch that arrived was brilliant. It adjusted Attunement so that only Bronze runs are required while it also made huge changes to the World Boss stage. Adding retrospective rewards for hunting down world bosses, to then have them activated when you start your Attunement, is awesome. I know I wasted many hours of my time having to re-kill all the bosses because the game didn’t previously register. What has frustrated me the most about this patch however is the fact that yet again Carbine have dropped the ball and introduced a handful of bugs that have crippled certain classes. Annoyingly, it has affected both of mine. The first victim is the Medic with the latest patch attempting, once again, to rectify Tier 8 Gamma Rays. For anyone who doesn’t know, it is a skill which has 3 lines of attack that has its cast time reduced it cast (to a maximum of 3). The third cast is almost instant as a result and because of this, it has caused no shortage of headaches for the community and the Class Lead. The skill has gone through so many iterations and buggy fixes that it honestly needs scrapping entirely. This time and without community testing they’ve implemented tap-to-cast on Gamma Rays but in the process, they broke Tier 8 Gamma Rays entirely (it wasn’t refunding Actuators) while also breaking the Recycler AMP which provides additional Actuator’s when you critically hit. Both of these are absolutely critical to a Medic achieving a reasonable amount of DPS as they allow the Medic to gain Actuator’s in combat and as a result, continue casting Gamma Rays. Without both, I went from a Raid Parse of 9663 to 6100: an enormous damage loss. What is so annoying about this whole situation is that it took me exactly 30 seconds to realise that something was seriously wrong with my Medic, the moment I logged in. Why then, did no one at Carbine simply run down the patch list and check off each “fix” to ensure it was actually working? It’s relatively clear that yet again the departments at Carbine are not communicating to each other properly. Other Medic bugs also include Discharge now hitting for over 20,000 damage per tick. As well as that, Spatial Shift for the Spellslinger no longer works and the Attunement process is totally bugged. This continued oversight of errors is just sloppy work and predictably, it’s giving players a bad impression of Carbines competence to patch their game cleanly with as few problems as possible. Massively multiplayer games need to attract new players with their patches because it’s a method of advertising the product: “Hey, look at this new content drop - it’s awesome!” and instead, all we have in WildStar is apprehension at what else will go wrong. It’s not a good reputation to have so early in a games lifespan and it’s one that Carbine need to quickly kill off. They’ll only do that that by actually testing, properly, rather than just offering lip service to their community. First off an apology, we have been working over the course of several patches to remove bugs and improve the functionality of Gamma Rays since launch and we haven’t gotten it right yet. I apologize for that. Our previous iteration before the latest hotfix was close but there was a nasty exploit. The hotfix was intended to fix the exploit and did however this has introduced two new bugs. Unfortunately this was caused by several errors. Initially the error was on me for implementing the change with the bugs. The second was that the fix I added for the one of the bugs was not included in the hotfix. The third was that our QA did not catch this before it went live. We can do better and we will do better. We are trying to get the T8 bug today as soon as possible, and I am working on a fix to recycler to be pushed as soon as possible. Unfortunately, I fear that this repeated cycle of rapid hot fixes to rectify mistakes is causing so much damage to the product that it might never recover. Here’s hoping Defile changes that because WildStar is an exceptional product but it’s doing its best to bury itself.